UREA GRANULES - NITROGEN 46% - ligam1s Webseite! 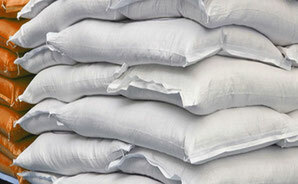 We market Urea granules of the highest quality, produced in Iran and Kenya. With a nitrogen content of 46%, in the form of amides, urea is a highly concentrated nitrogen fertilizer. Delivery may be made under any conditions such as FOB, CFR and CIF. For more information you can send us however an inquiry. Extract of our portfolio of offerings! You are a industrial customer or wholesaler and want to buy goods from our portfolio? Or you are manufacturers and to expand into Iran? Then contact us.